England did win yesterday. I’m not talking about the borefest against Germany, which was slightly less tedious than under the previous England manager but still, dire. I’ll give him a few more months before I make him the latest object of my ridicule. Yesterday afternoon a maniac went onto the streets of London in a car and used it as a weapon. He killed a mother on her way to pick up her two little girls from school. At least three more people have died, and he injured more, including school-kids. Some of these victims are still in a critical condition. He then ran at a policeman and stabbed him. He died in the line of duty. In the meantime the perpetrator had been gunned down. For this act, this murderer will rightly burn in hell. Which will be of no consolation to those who mourn their loved ones or to those who have to live physically or emotionally with what he did to them. Brainwashed by extremists, presumably. People who have succeeded in bastardising a whole religion to suit their own f*cked up agenda. They wage this “war” on us, on Paris, on Brussels, on the streets of Germany because they want to end us. They want to destroy our way of life. They want to reduce us to gibbering wrecks who are afraid to leave our houses. They want, basically, to bring our world crashing down around our ears and make us afraid. This is why we did win yesterday. Because this deluded monster died for literally nothing. Regardless of how many virgins he thinks were waiting for him, or how noble he believed his cause was, he breathes no more. And the world is a better place for it. I'm agnostic, but I believe genuine Islam is better for it. The irony of the actions of an extremist is that they ultimately do our job for us. They eradicate themselves. I was pretty sickened by the almost gleeful tone of the news last night, trying to make the attack sound as gory as possibly, more terrifying. The extended coverage, the speculation, the repetition, the obsession with the 24 hour news cycle and staying on top. Shame on all of them. Shame on the despicable individual who stood there with a SELFIE STICK taking a photo of the scene. And shame on what we have become in that respect: social media obsessed, impatient, attention seeking drama queens who have to be able to retrieve everything we want (a boyfriend, shopping, news, music, literally everything) at the swipe of a phone screen that we are all glued to not caring whether we are reading fact or speculation, or even fiction as long as we have it NOW. (See worldwide phenomena of substituting “extremists" for “muslim” as if they are one and the same thing for demonstration of how people aren't even reading what they are retweeting half the time) All of this combines to give these a*seholes what they want. Attention for their ludicrous "cause". The notion that they have struck a definitive blow against us. They have not. Mourn the dead. With sorrow and regret at how innocent people got caught up in his actions. But the tone that should have been struck in all of the coverage last night was distress at what had happened, but ultimately defiance. Because he failed. Miserably. And I am not a gibbering wreck. My fellow Londoners are not gibbering wrecks. For me, not enough was made of the fact that he completely failed in his endeavour to make a symbolic attack on the heart of our democracy. He may have made it through the gate, but he ran up against the people he and his are aiming to leave quaking in terror. And they stood firm. Rather than run, passers by, British and a multitude of tourists and foreign nationals dropped to their knees to HELP those who had been struck down on the bridge. Doctors and nurses ran from their wards in the nearest hospital, not knowing what was happening and how much danger they were placing themselves in to see what they could do. An MP who had lost a brother to another terrorist attack did not run away, he tried to save the life of another former army man who was dying on the street. Whoever this man was, and I wouldn’t give him the satisfaction of naming him even if I could, he may have caused pain and suffering yesterday in the manner of the complete coward he was (because it takes a big man to take on 40 people when you have a 4x4 to use as a battering ram, or to take on a surprised police officer when you are wielding a knife in each hand), but when he tried to attack Parliament, thanks to the men and women whose job it is to keep it safe he got nowhere near the door. His attempt to damage our way of life in a blaze of despicable glory turned out to be quite pathetic. What he did do was show us what we are capable of in a world where an attack of this kind is a constant possibility. We are organised. We are ready for them. We are vigilant. We are brave. We are selfless. 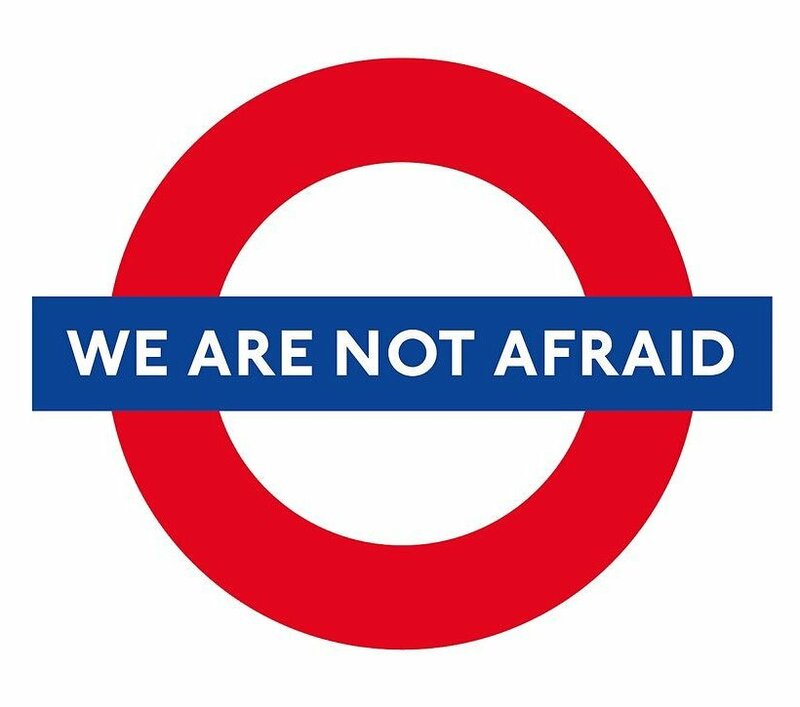 We are not afraid. Better luck next time a*rsehole. But then there is no next time, because you're dead. And you deserve to be for what you did. But this morning our flag still flies over Parliament and the business of governing a democracy goes on. And you? You’re already yesterday’s news.